IoT Emerging Technologies- I was born and raised in a small town in Belgium. When I was a kid, a converted bus with fresh produce and convenience items would come by once a week. My mom would climb up into the back of the vehicle and shop for the produce and other items she wanted. The driver knew my mother and her preferences, and their interaction was easy and friendly. Our town also had a milkman who would make his rounds starting at sunrise, dropping off milk jugs at customers’ homes on a regular schedule. The milkman knew all of his customers by name and had their preferences and consumption patterns, well, down cold. Over the years the retail experience evolved from this home delivery model to a mass-market one, whereby shoppers drive to hyper-supermarkets and mazelike megamalls to buy their produce, convenience items, and higher-end consumer goods. But rest assured—the proverbial milkman is back. The model has been reinvented, of course, infused with technology and operating at scale. Personalized, frictionless commerce, including home delivery, is experiencing a complete resurgence in the world of retail. To keep pace, all retailers must become expert at reaching consumers (us) in a direct and personal way. The implications are profound: Retailers must learn to accommodate their customers’ busy and overloaded lifestyles, hone to a fine point their supply chain and logistics capabilities, and figure out where their physical stores fit into this new consumer equation (yes, those stores are still important). The concept of “mass” no longer holds sway in retail. Instead, consumers want an experience that’s easier, faster, and more visceral. 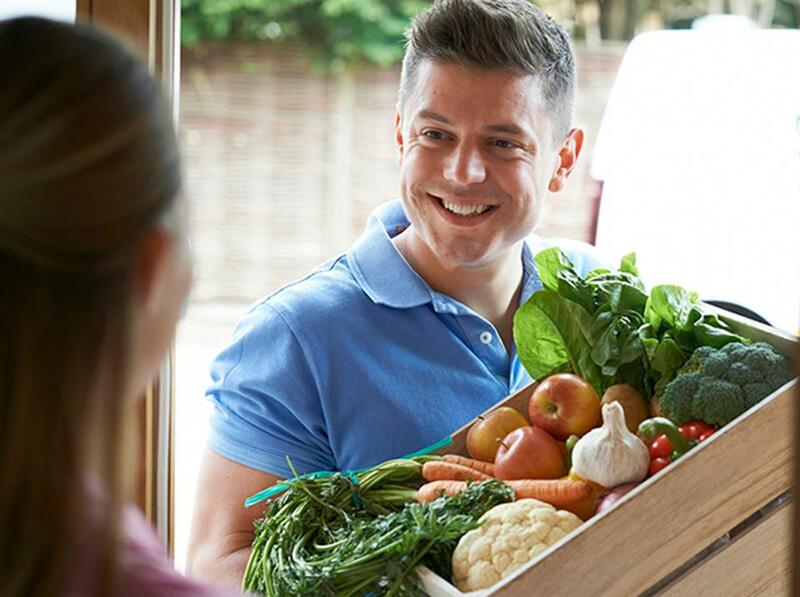 Home delivery is the personification of that trend, but there’s a lot more going on in retail. As a percentage of total retail sales, ecommerce is still relatively small—less than 10% in the first quarter of this year, according to the US Commerce Department. But ecommerce is growing extremely fast (16% in the first quarter)—so fast, some companies can’t keep up (e.g., Toys “R” Us). And its impact on the structure and function of retailing has been, and continues to be, enormous. For instance, retailers are finally embracing a version of the Moneyball strategy. Decades ago a salesperson would say, “I know my customers and what they like,” which would decide product strategy for the next six months. Today, data mining and analytics lay out where to find customers and predict their preferences with remarkable accuracy. For example, expertise in data analytics has been a key ingredient of online clothing company Stitch Fix. The concept for the seven-year-old company—send potential customers outfits to choose from, based on preferences gleaned from survey and social media data—was developed while its cofounder Katrina Lake was working on an MBA at Harvard. Stitch Fix, which went public last year, now has about 5,800 employees, including 80 data scientists, more than 2 million customers in the US, and a market cap of about $2 billion. Stitch Fix also exemplifies ecommerce’s “no-store” business model, which offers advantages that consumer goods producers are waking up to. Produce and egg farmers, for example, can use social media to find local customers who value the convenience and authenticity (translation: no chemicals, no cages) of that literal “farm-to-table” approach. It’s why the traditional bottle-clanking, crack-of-dawn milkman is staging a comeback. At least one dairy guarantees 48-hour udder-to-porch turnaround. However, to scale the farm-to-table model you need more than a Facebook page. You need a distribution and fulfillment center to stage inventory and track deliveries. In retail, supply chain visibility and inventory tracking aren’t new. What’s different now is that the technology exists to track deliveries with uncontested transparency in almost real time. With perishables like dairy, Internet of Things (IoT) sensors can monitor temperature and humidity in delivery vehicles, flagging spikes that may require specific interventions. Such anomalies can be written into a blockchain ledger so partners are informed and can adjust accordingly. This is where traditional consumer goods retailers have a leg up on their online-only competitors. Not only do most of them have extensive supply chain experience, but their physical locations can also serve as fulfillment centers for the “last mile” of home delivery. Kroger, Target and Walmart offer home delivery today, with others following suit. That retail last mile is very expensive and, to date, no one has figured out an economical model. It’s not surprising, then, that Kroger is testing autonomous vehicles for home delivery. Drones have been floated as an alternative, but I don’t expect to spot them in the sky over my neighborhood any time soon. The post Emerging Technologies Like IoT Are Making Home Delivery More Than A Memory appeared first on erpinnews.